Preschool Cutting Practice worksheets help young kids learn how to cut. 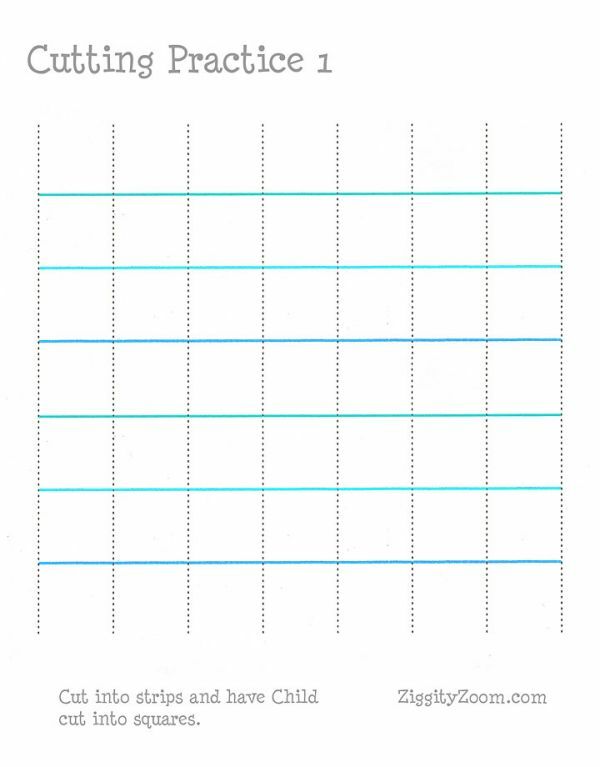 Cut page into strips along dotted line and let child cut along solid lines to make little squares. Then let them color & glue the squares on a larger piece of paper to make a fun collage. Helps development of fine motor skills. You can use this worksheet for classroom or home use.